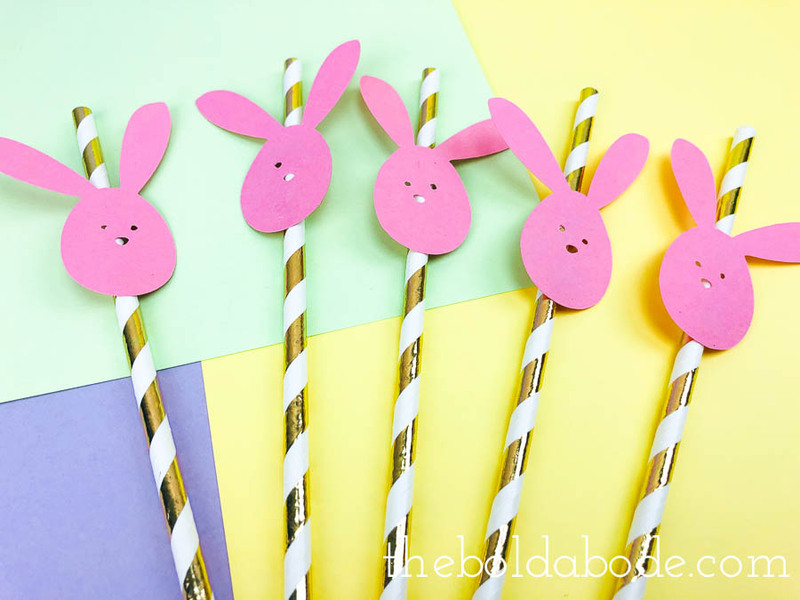 Easter decorations are fun to make and these Easter Bunny straws are the perfect compliment to your Easter table! In this article, you can download my free Easter Bunny Template Printable to cut by hand or a PNG for your cutting machine. Both contains 9 bunnies to cut out for your straws. Hey there! I’m back today with another quick and easy Easter Craft! 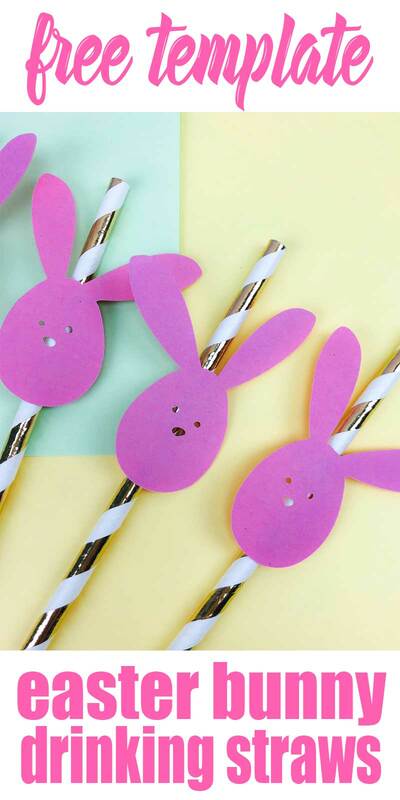 These Easter Bunny Straws are simple, cute and so easy to make. I love making crafts for Valentine’s Day, but I’ve never really done much in the way of Easter ideas. I don’t know why, because I j’adore Easter too. So I’m trying to mend my ways and be more creative with this holiday! 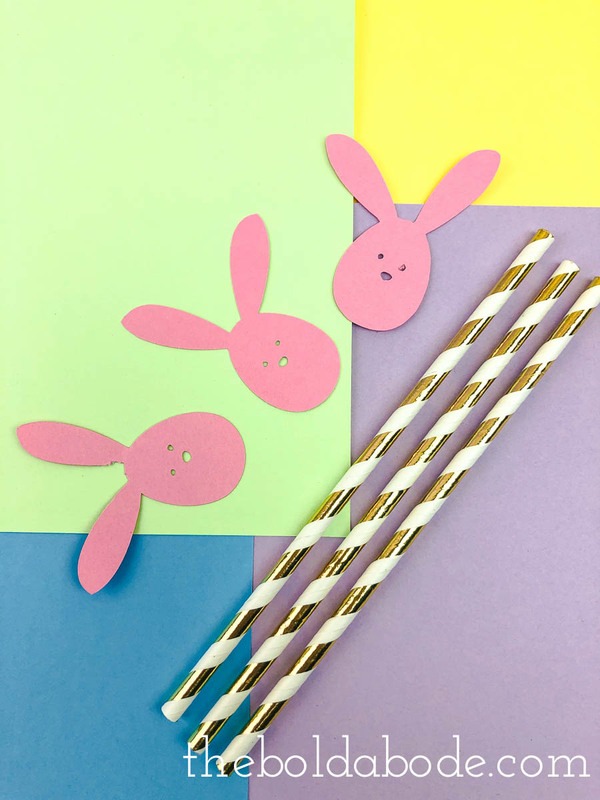 Making these straws is super easy with this Easter Bunny Printable. 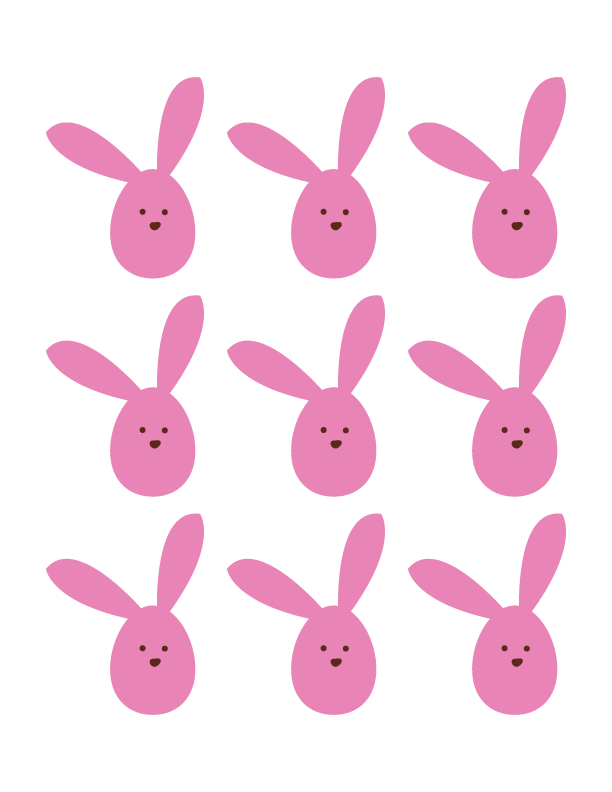 Print one page and you’ll have 9 cute little Easter Bunnies to use on your straws! Easter Bunny Template Printable or this Bunny Face PNG if using a cutting machine. Print the bunny face template and cut out with scissors or upload the JPG to the Cricut Design Space and cut out there. I j’adore my Cricut because it saves me so much time and frustration when I cut stuff out! Then just glue the bunny faces on to the straws. So easy! Now you have some really cute Easter decor that took minutes to make. You could make a delicious Easter punch with some Rainbow Sherbert ice cream and Ginger Ale. That’s always a great party drink, and it’s super easy to make. Grab some gold and white party cups and what a blast! You could even stick one behind your ear. lol. Do you have some fun Easter plans? Pop over to this post on Facebook and let me know what you are doing!